"Boo" is a nickname for Monica's son. I didn't intend for the layout to say "Boo Monica", that'd be kinda odd, right? Originally, I had an "&" between the two names but it turned out horribly wonky so I covered it with the journaling. You are sooooo good at these, Mad! I luuuuuuv your scrapbook pages. You seriously have an amazing talent for it. The colors are beautiful and really draw your eyes to the photographs. ahhhhh....my little boo boo monster! 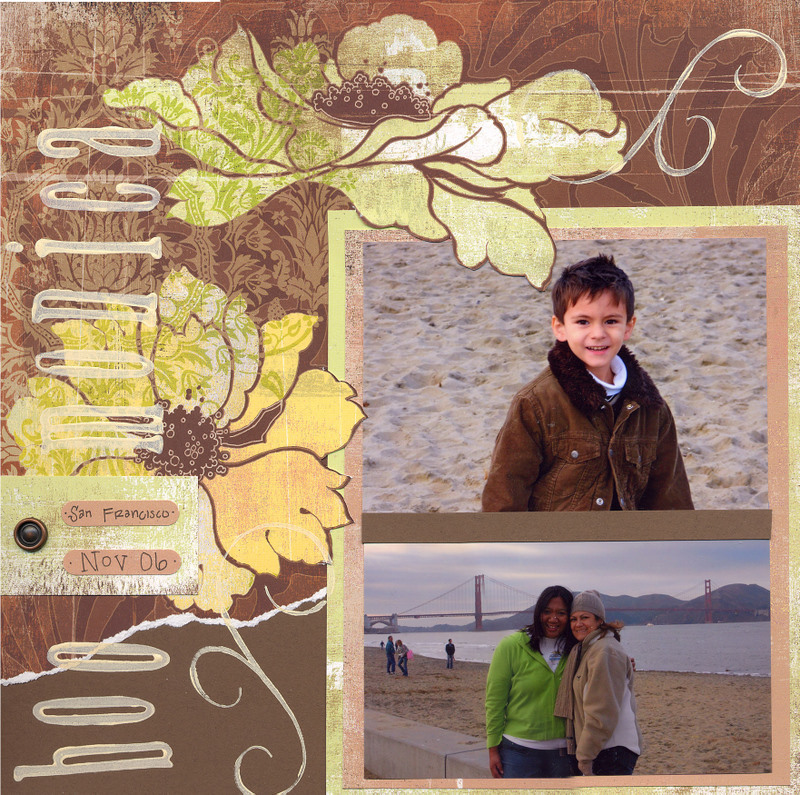 I love your scrapbook pages, they are gorgeous! I wish we got to talk more at E's bday party...we would have had a lot to talk about. Well, we have to talk more your next visit.